My name is Dan Phillips. I grew up in Northern Idaho in a horse and logging family. My kennel is the largest in the lower 48 we have over 200 working sled dogs. My sled dogs are the descendants of the original 10th mountain army sled dogs. I am the third care taker in 70 years of these dogs. We are a touring and expedition kennel we take guests on tours in Colorado and provide sled dogs and guides for expeditions. I am married and have three awesome kids. We are all involved in the kennel as a family. 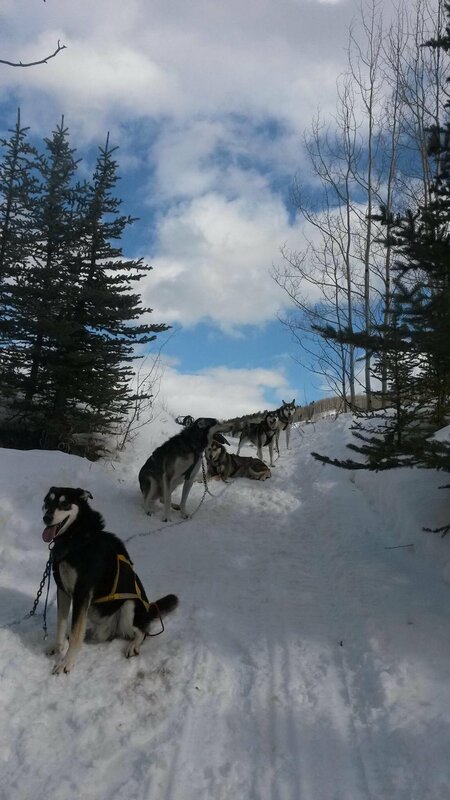 I came to Colorado as a ski bum and while skiing in the backcountry I seen multiple sled dog teams going by below me. I followed the tracks back to the kennel and set myself up for a job the following season. I was hooked in the first hour! I enjoy working with the traditional huskies. I find they communicate with me so well. I enjoy being their facilitator of what they love the most: RUN! Doing tours our sleds are heavy and we guide in steep terrain, so our tour trails are only about 6 miles. Our expeditions can be any type of terrain or mileage. Our dogs are working freight dogs, so they go to work 6 days a week and work hard. They are capable of almost anything we ask of them. Being full time working dogs they are in amazing shape and very experienced in all types of situations. We train year round dogs free run and work on social behavior during the off season. We believe in keeping the dogs in excellent shape year round. We work on leader training and line out skills. What has been your most memorable experience as a dog musher? My most memorable experience as a musher is working with at risk youth. My wife and I provided expeditions for kids at risk. These programs we were able to watch our sled dogs change kids lives. It’s amazing what these dogs can do for humans. My most memorable experience as a musher is working with at risk youth. My wife and I provided expeditions for kids at risk. These programs we were able to watch our sled dogs change kids lives. It’s amazing what these dogs can do for humans. Stay happy doing what you love. Let your dogs be a reflection of yourself.